Following question driven by seeing a box of floppy discs in tech room. 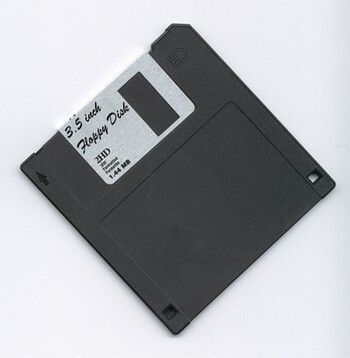 Question: How large would the floppy disk have to be to hold a hard drive of content? Size of a desk? room? building? field? town? 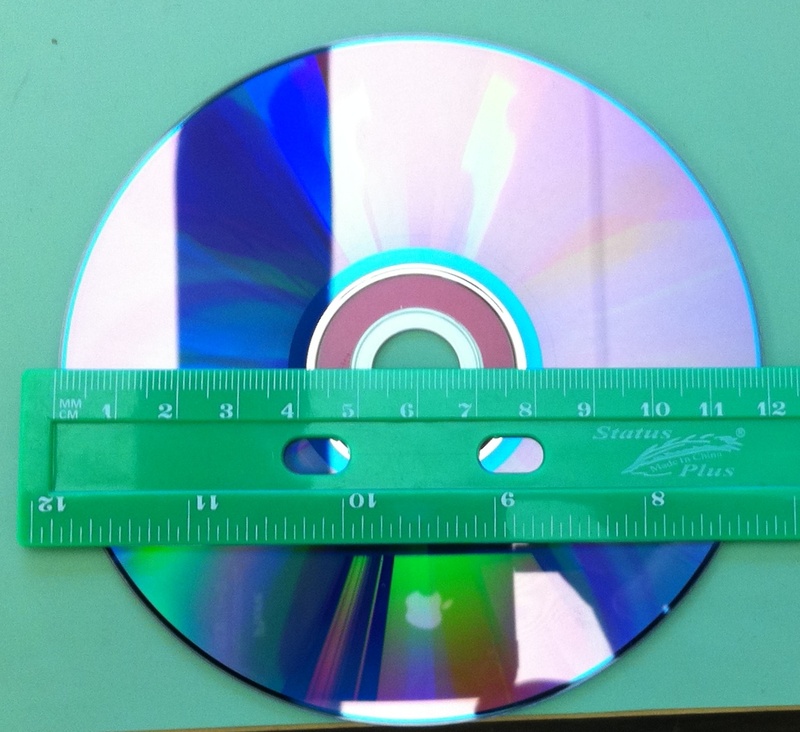 Extension 1: What about a CD or a DVD? Extension 2: How small could the hard drive be if it only held a floppy disk of material? Answer! Highlight the text below to find the answer to the first question. 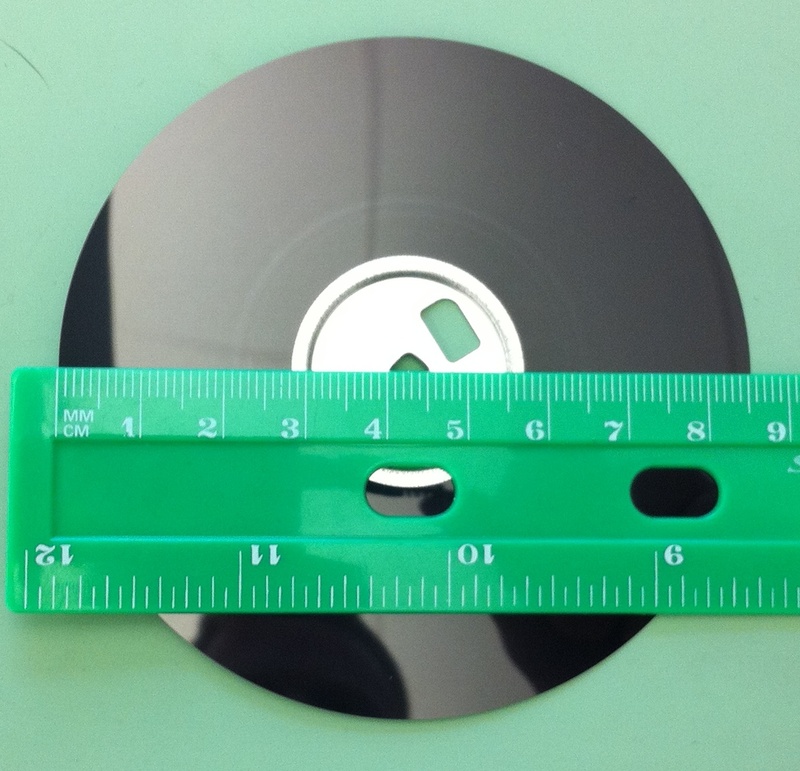 The floppy disk with a size of 2 TB would have a radius of about 47 meters. great question. Maybe also pair this with a phonograph record, and show the excellent electron micrographs of a phonograph groove. Then kids could look at CD and electron micrographs of CD pits as well. I really like this—could be used in a math or science class. Good call. A good CS question could be to ask how many pits are possible on the CD. I know there is some kind of error correction, but I’m not sure the ratio of real data to raw data. FYI, I’ve amended the original post with an answer to the first question.